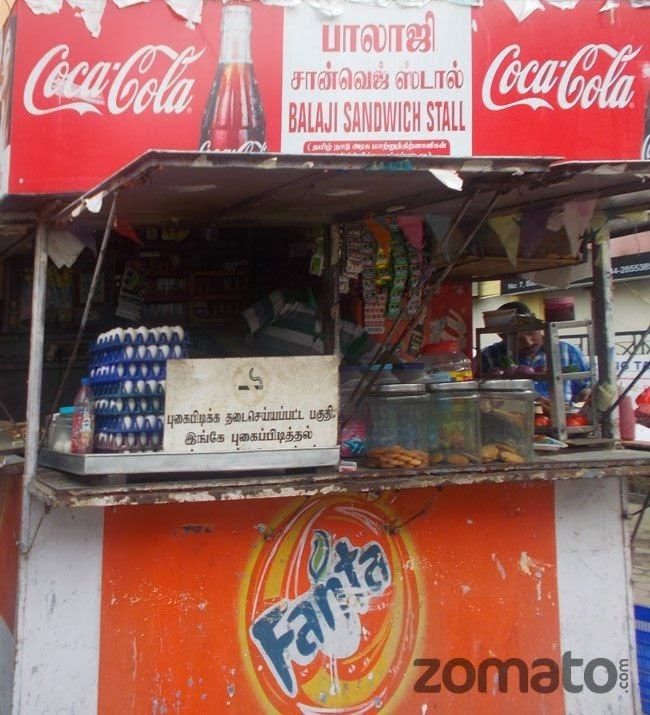 Balaji Sandwich Stall is the most favorite and busiest street food joint situated right in front of Alsa Mall, Montieth Road, Egmore. It is a shop-on-wheels and hence no seating for one to sit and taste the food. However there is no objection if one sits on the steps at Alsa mall front courtyard. Everyone makes it a habit of getting here during mid-morning or around lunch hour to taste the amazing range of sandwiches. Again at about 4 pm this place is surrounded by sandwich lovers and by evening there won't be a crumb left. This is how it is popular. The menu is long. 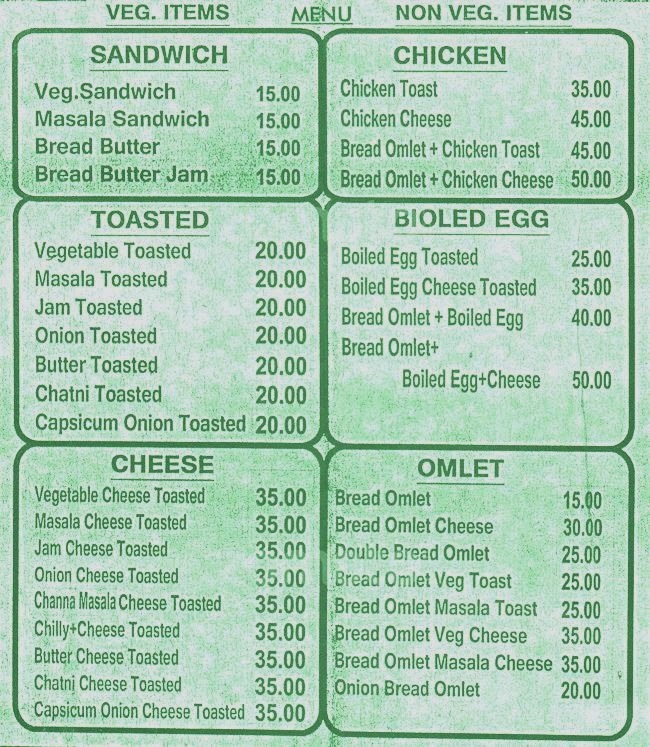 From vegetable sandwiches to chicken sandwiches, bread omelets .. a delicious array of sandwiches and most of them comes within Rs.20/- (see veg and non-veg menu card). They also serve the sandwiches as desired (specified) by the customer i.e, how spicy it should be or how crispy it should be? Whether to grill or not or to add cheese or chillies or butter or any other ingredient? One can have sandwiches the way he or she wants. It is very difficult to guess what they add in the green colored mint chutney and the taste makes everyone to guess. In 1985 the stall owner started this as a tea shop and during early 1990s the stall commenced serving sandwiches. In spite of its poor ambiance and services, this simple street food joint is being reviewed with high ratings in most of the newspapers and websites.